No, I haven't spelt my name incorrectly in the title of this present ShukerNature blog article. The Carl referred to here is not me, but is instead arachnid expert Carl Portman, a longstanding friend of mine who has sought out rare and unusual invertebrates (especially spiders) in remote, exotic locations throughout the world. During one such search, moreover, he actually encountered a very remarkable, and beautiful, species that may still be scientifically undescribed and named. 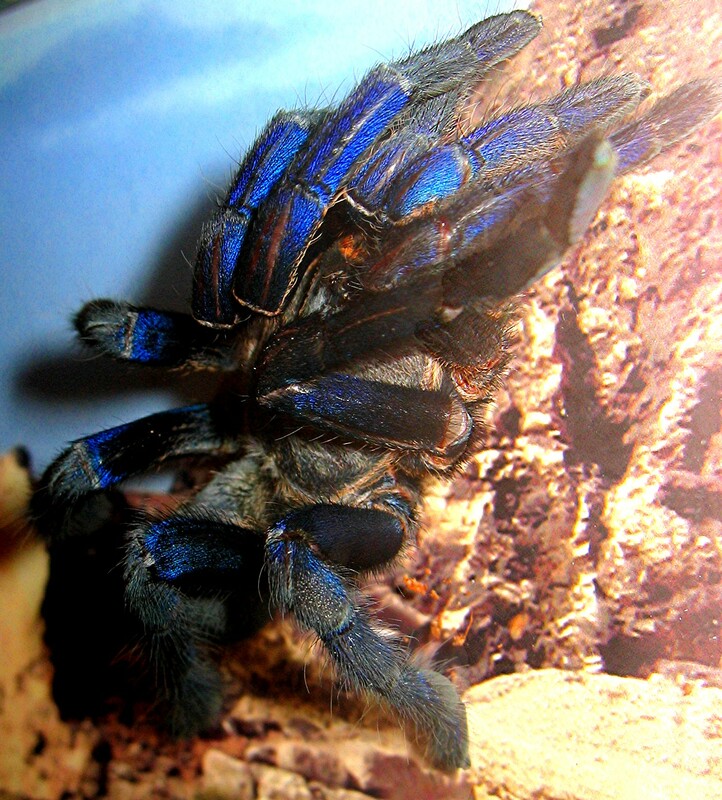 However, it does have a local name – the blue devil. As he only made public for the first time quite recently, in an Animals and Men article (May 2015) for the CFZ, it was while visiting Black Rock in Belize during April 2014 that Carl first learnt about something that may be very special indeed. He was told about a certain cave situated high up in the mountainside that locals claimed was home to a magical kind of very large blue spider known as the blue devil. Although it sounded more likely to be folklore than fact, he decided to visit the cave, just in case, and after an arduous near-vertical climb accompanied by his wife Susan and a native guide called Carlos, he finally reached the cave's opening and entered it. 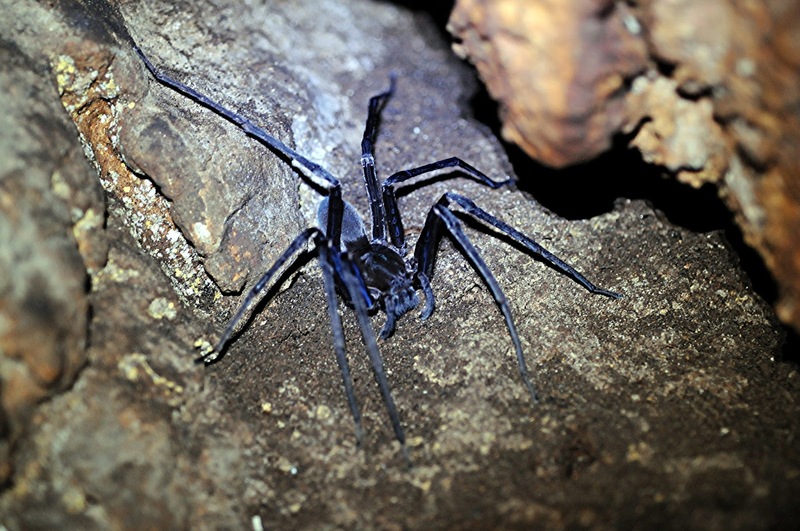 During a lengthy trek through its gloomy interior, they came upon quite a range of animals, including frogs, lizards, cave lice, tailless whip scorpions (amblypygids), bats, and some spiders too – but none of the blue devil variety. Reluctantly, they eventually decided to trek back to the entrance, but before they reached it, and to everyone's amazement but delight, Carlos spotted one of these elusive, magical creatures – a blue devil! The size of Carl's hand and indeed a brilliant, vibrant blue, it was possibly a species of wolf spider, and Carl swiftly snapped a few photographs of this spectacular arachnid before it vanished back into the cave's stygian depths. 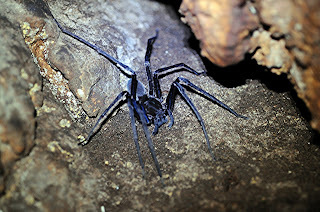 Despite being very knowledgeable and experienced regarding spiders, Carl had no idea of the blue devil's species, and according to Carlos they are found only in this cave, nowhere else. Could it therefore be a dramatic new species? Only if a specimen is collected and subjected to scientific scrutiny can its taxonomic status be conclusively determined, but as I learnt from Carl in July 2015 during some personal communications with him on the subject of this very anomalous arachnid, he definitely hopes to return to study it, so an answer to the riddle of its identity may soon be forthcoming. Meanwhile, however, the blue devil of Belize remains a hidden, thought-provoking mystery. This ShukerNature blog article is a modified version of a news item that I wrote in 2015 for one of my Alien Zoo columns in Fortean Times, and my grateful thanks go to Carl Portman for very kindly permitting me to include his blue devil photograph. 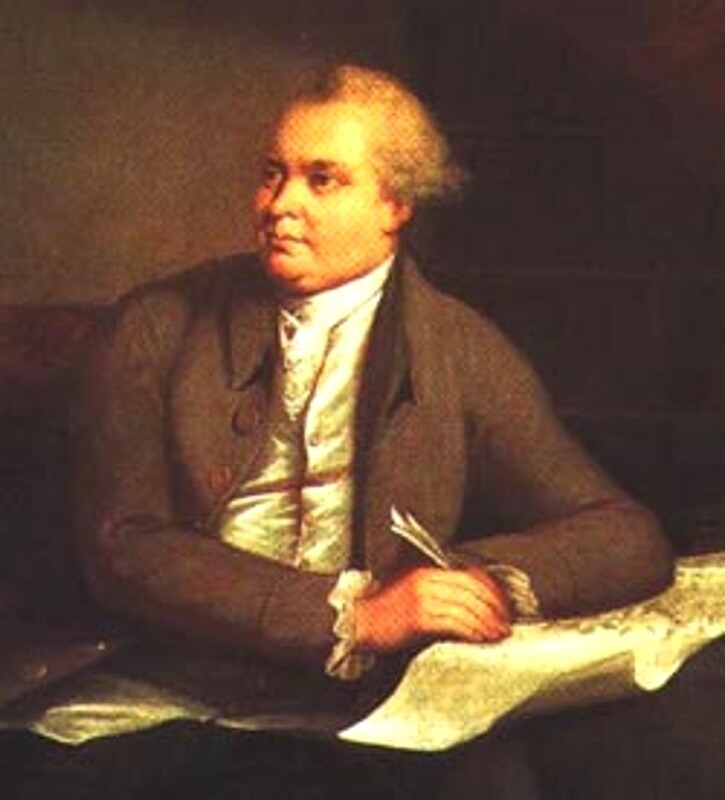 Certainly, had Dr Clarke been stung by the furia infernalis at the moment that he expressed his disbelief of its existence, one would be almost tempted to think that the worm possessed, along with its other infernal attributes, that of knowledge, and had punished the Doctor for his scepticism. Can a tiny creature that doesn't even exist inflict agonising pain and even death upon its human victims? Ordinarily, I would say no - but the history (and mystery) of the virtually forgotten yet decidedly bizarre micro-assassin documented here is anything but ordinary. Carl von Linné (1707-1778), or Carolus Linnaeus, the Latinised version of his name by which he became known throughout the scientific world, was the Swedish botanist who famously devised the Linnaean nomenclatural system of classification by which all species of organism are given a formal binomial name, and are categorised in an ascending series of taxonomic echelons, from species, genera, and families, up through orders, classes, phyla (though this particular echelon was not among his originals), and kingdoms. However, a bizarre incident that occurred one day early in his career almost brought it, and, indeed, his entire life, to a premature end, and resulted in his making a rare but significant error. In 1728, while still a student, an impoverished Linnaeus was lodging at the home of the eminent Swedish scientist Kilian Stobaeus, professor of physics and botany at the University of Lund, but he was keen to amass his own herbal, so he spent much time out in this region's marshes, collecting and classifying botanical specimens. 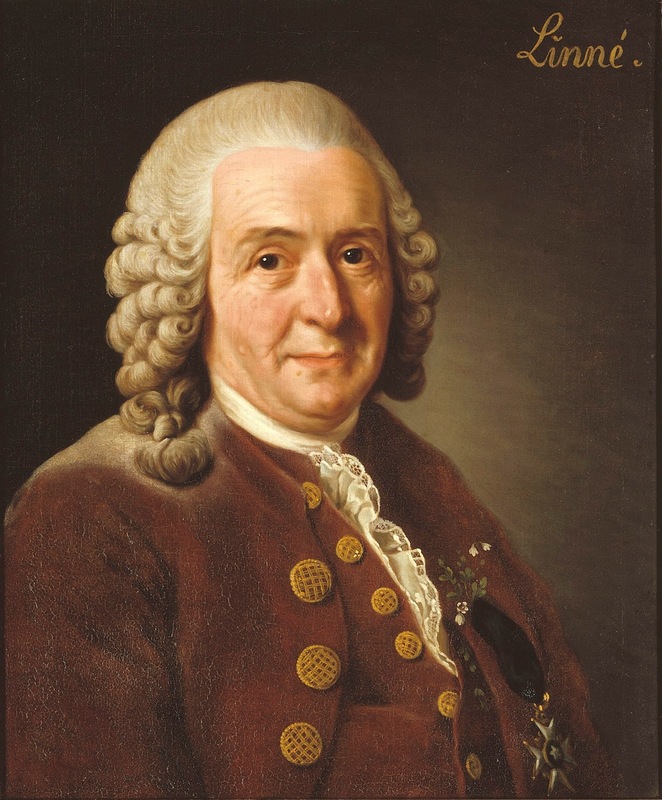 On the fateful day in question, Linnaeus was visiting an area just outside Lund in search of more specimens when suddenly he felt something sting his neck. Rather than assuming the unseen culprit to be some type of insect, however, Linnaeus later deemed it to be a tiny slender worm, because he had been made aware of such a creature from local rural lore. Although it did not appear to have a specific name, this worm was said to be carried on the wind from overhanging vegetation, was extremely venomous, and was armed with a spike at one end that injected the venom, after which the worm swiftly burrowed deep within its victim's flesh, the combined effects of its venom and its burrowing activity resulting not only in agonising pain but actual death if not treated rapidly. And sure enough, within a very short space of time Linnaeus's neck and also one arm had become so greatly inflamed, with the supposed worm apparently buried too deeply in his flesh for him to extricate it, that by the time he had managed to make his way back home his very life had become severely endangered. Happily, however, the swiftly-administered expertise of Stobaeus and a physician called Dr Schnell – who incised Linnaeus's arm from armpit to elbow - proved sufficient to quell the worm's dire effects, and Linnaeus recovered. 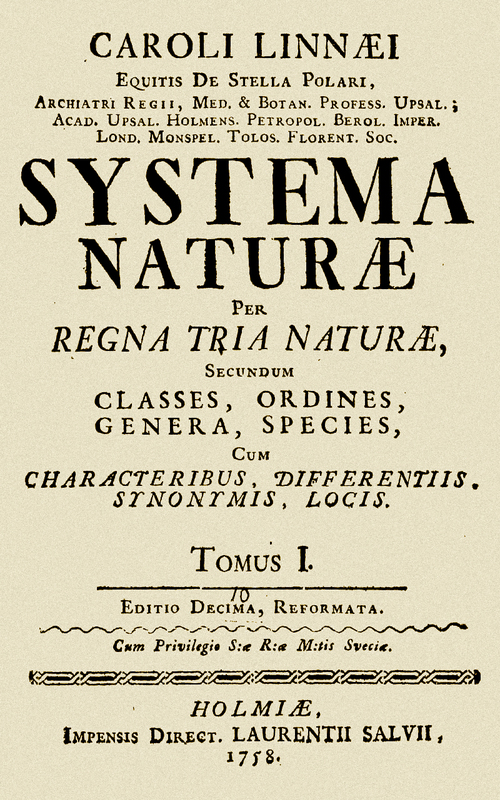 Nevertheless, the experience had such a profound effect upon him that when he published in two volumes (in 1758 and 1759 respectively) the tenth, ground-breaking edition of his taxonomic magnum opus, Systema Naturae, Linnaeus included a formal description and exceedingly apt binomial name for his diminutive but deadly vermiform assailant and would-be assassin. He dubbed it Furia infernalis, the hellish fury worm, after the Furies. 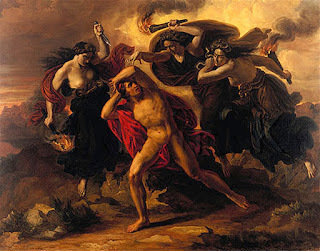 Also known as the Erinyes, these were a terrifying trio of ancient, Underworld goddesses from Greek mythology that meted out merciless vengeance, relentless punishment, and inescapable retribution to sinners on Earth until they finally died in torment. 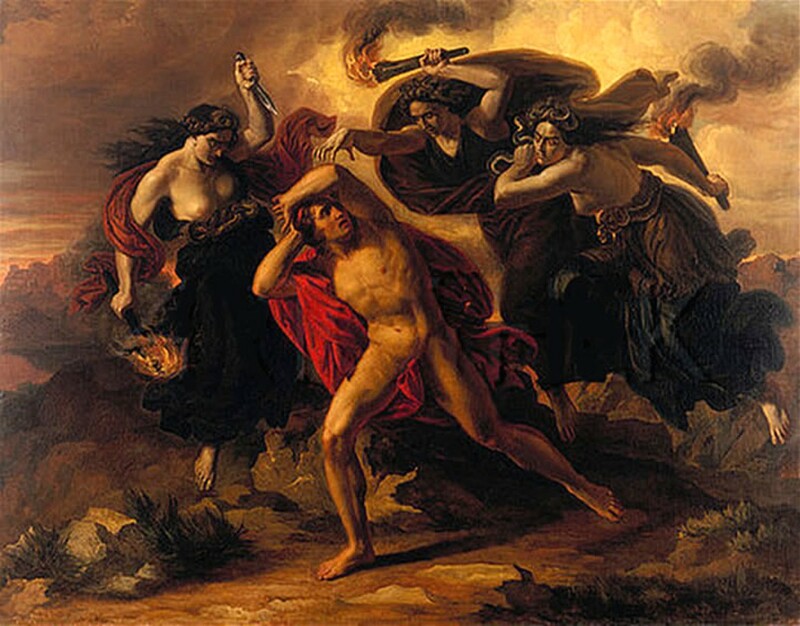 The best-known story featuring the Furies is their persecution of Orestes (a dramatic scene captured by several artists down through the centuries), after he had killed his mother Clytemnestra following his shocking discovery that she had murdered his father Agamemnon, the king of Mycenae and leader of the combined Greek forces during the Trojan War, after he had returned home to Greece following the end of the war. Body thread-like, of equal thickness throughout. On both sides of its body it has a single row of closely-pressed recurved stings. Habitat: northern marshes of Bothnia and Sweden. Worst of all: falling from the sky onto the bodies of animals, it quickly penetrates, killing with atrocious pain within a quarter of an hour. Bearing in mind that he had not actually seen the worm that attacked him, however, how could Linnaeus provide such a precise if concise morphological description of it? In fact, he based his account on two entirely separate sources. One of these (referenced by him in his account) was a then-unpublished paper on the fury worm, again written in Latin, but authored this time by a former pupil, naturalist Dr Daniel C. Solander, which utilised testimony from various local victims of supposed fury worm attacks as well as traditional rural lore concerning it. Solander had originally submitted his paper to Acta Upsaliensia (the transactions of the Royal Society of Sciences at Uppsala Academy) during the 1750s, but due to a break in the publishing of this journal that lasted from 1751 to 1772 it did not appear in print until 1773, within the inaugural volume of the rebooted Nova Acta Regiae Societatis Scientiarum Upsaliensis. Linnaeus's second source of information was a local peasant. This was the person who had told him that the cause of his injury had been a specific type of worm, one that is carried on the wind and penetrates the flesh of anything that it lands upon. Moreover, this same peasant subsequently brought to him a dead specimen of a tiny vermiform creature that he claimed was one such worm. 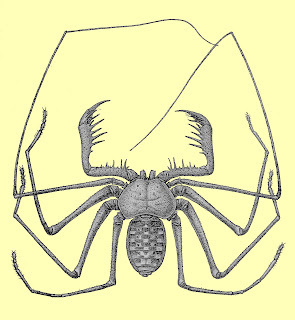 However, the specimen was so dried and desiccated that its taxonomic identity is unlikely to have been readily discerned, and it does not appear to have been retained, so no modern-day reappraisal of it is possible. The respective publications of Linnaeus and Solander attracted appreciable interest in the scientific world, especially in view of Linnaeus's eminent standing by then and his direct experience with this small but potentially lethal creature. As a result, a wide range of additional publications featuring it began to appear, some of which provided interesting local information as well as additional accounts from persons claiming to have been victims of its formidable actions – as now presented here in what is the most comprehensive documentation of the fury worm ever compiled. A remarkable circumstance happened to the author, just before his arrival at this place [Sundswall], upon the first of July. He had been reading the life of Linnaeus, in the open travelling waggon, as he proceeded on the route; and was giving an ac­count to his companion of the marvellous manner in which that celebrated naturalist had nearly lost his life, in consequence of being wounded by a worm, said to have fallen from the air — Furia infernalis; expressing, at the same time, his incredulity, as to the existence of such an animal, and, of course, his disbelief of the fact. 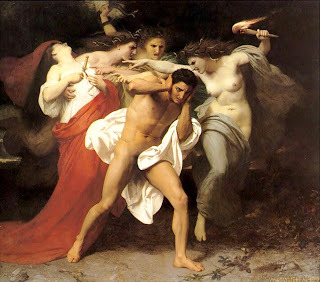 At this moment, he was himself attacked in the same extraordinary manner, and perhaps by the same creature. A sharp pain, preceded by slight irritation, took place in his left wrist. It was confined, at first, to a small dark point, hardly visible; and which he supposed to proceed from the sting of a gnat. Presently, it became so severe, that the whole of the left arm was affected, quite to the shoulder, which, as well as the joints of the elbow and fingers, became benumbed. The consequence might have been more serious, if he had not resorted to a mode of cure pointed out by the inhabitants; namely, a poultice of curd; to which he added the well-known Goulard lotion, prepared from the acetite of lead. It appears, that the Furia does not confine its attacks to the human race, but that cattle, and the rein-deer in particular, are exposed to it. In 1823, the Laplanders are stated to have suf­fered so greatly in their herds, that 5000 head died from the sling of this creature; and that even the wolves and other animals, that preyed upon the dead carcases, caught the infection, and died with the same symptoms. A Laplander, who posses­sed 500 deer, on perceiving the destruction among them, thought it best to kill the whole herd; but so quickly did its ravages spread, that, before he could accomplish his purpose, they all died. Great numbers of cattle and sheep were likewise destroy­ed by its attacks, and it fell, in some degree, upon the human species, a few having become victims to it. A young girl, who was shearing some sheep, that had died from the attack of the Furia, felt, while thus employed, a sudden pain in one of her fingers, which rapidly increased, and, on examining the part, she found a small puncture like the prick of a needle; her mas­ter, who was by, had the presence of mind to cut the finger off on the spot, and it was the means of saving her life. The pest is stated to have been confined to Russian and Swe­dish Lapland, and did not spread higher than Muonioniska. Norwegian Lapland fortunately was not visited with this cala­mity; and, in order to prevent it from being introduced, all furs, during the year of its prevalence, were forbidden to be pur­chased*. 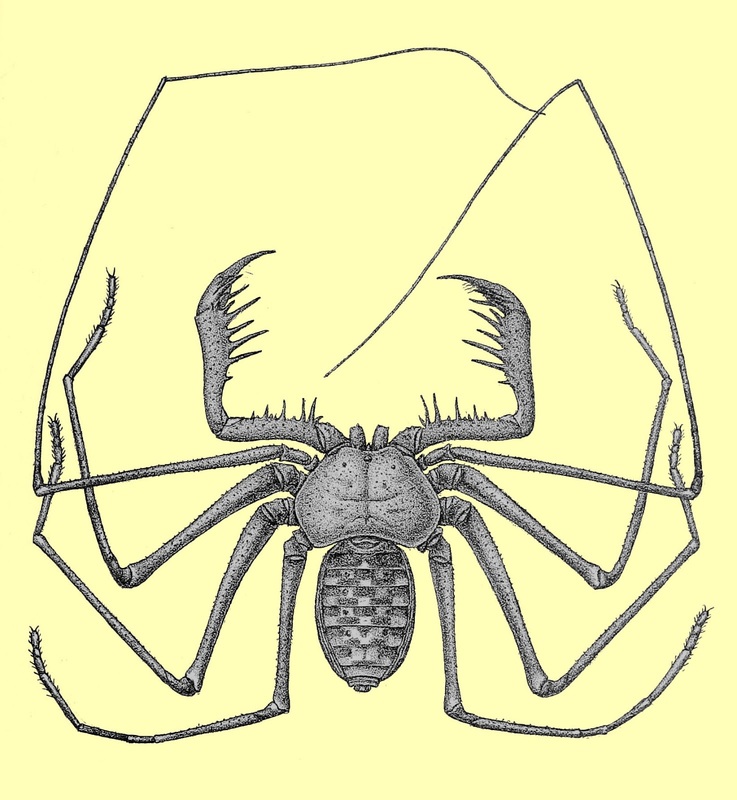 Only one species [of Furia], the Furia infernalis, has been hitherto discovered. In Finland, Bothnia, and the northern provinces of Sweden, the people were often seized with an acute pain, confined to a mere point, in the face, or other exposed part of the body, which afterwards increased to a most excruciating degree, and sometimes, even within a few hours after its commencement, proved fatal. This disorder was more particularly observed in Finland, especially about marshy places, and always in autumn. At length it was discovered that the pain instantly succeeded something that dropped out of the air, and almost in a moment penetrated and bu­ried itself in the flesh. On more accurate attention, the Furia was detected as the cause. It is about half an inch in length, and of a carnation colour, often black at the apex. It creeps up the stalks of sedge-grass, and shrubs in the marshes, whence it is often carried off by the wind; and if the naked parts of the skin of any person happen to be directly in its course it immediately adheres, and buries itself within. The first sensation is said to be like that arising from the prick of a needle, this is succeeded by a violent itching of the part, soon after acute pain, a red spot and gangrene, at last an inflamma­tory fever, accompanied with swoonings. In the course of two days, at the farthest, death follows, unless the worm be extracted immediately, which is very difficult to be done. The Finlanders say, however, that a poultice of curds, or cheese, will al­lay the pain, and entice the animal out. Perhaps the most effectual method is carefully to dissect be­tween the muscles where it had entered, and thus extract it with the knife. This is a particularly notable account inasmuch as it includes not only a very eyecatching body colouration (carnation) for the fury worm but also a size for it (half an inch) that if accurate should again be readily visible to the naked eye. Yet in spite of that, eyewitness descriptions of this creature were generally conspicuous only by their absence. Nor does there appear to be a single illustration of a fury worm dating back to the time when it was being reported. Clearly, something was very amiss here, and it would not be much longer before scientists began to realise this, and to reflect upon the Furia case in a new and more discerning manner, as will be seen. According to his observations, the extensive fens in the northern part of Bothnia are the principal seat of this destructive insect, and the tu­mours it produces have been remarked chiefly by the inha­bitants of these districts or those who travel through them. In men, this disease generally attacks those parts of the body which are exposed to the air, such as the hands, arms, neck, etc. A prick like that of a needle is first felt, after which a black speck is seen in the place, and a violent itching ensues. This is soon after followed with extreme pain, a red spot is produced, and the neighbouring parts are inflamed. As the disease increases, the parts become more irritated and painful, and the patients are seized with an inflammatory fever, accompanied with fits of fainting and delirium, which, often carries them off in the course of a few days, and sometimes of a few hours. Some, however, get over this fever, but are affected in the injured part with malignant and te­dious sores, which often remain incurable during their whole lives. Dr. Solander was himself an eye-witness of a case of this kind, and he mentions others which were related to him by persons worthy of credit. The greater part of them occurred in the spring and summer, though instances of this disease have been observed in winter. When the worm has pene­trated into the flesh, it is often impossible to save the patient even by cutting out the affected part; but it sometimes hap­pens that the small animal which is the cause of the evil may be extracted with a pair of pincers, or the teeth, if the proper means be employed immediately after the puncture is felt. When this is done by cutting, the patient, if the worm has penetrated to a great depth, is exposed to the most excruci­ating pain. Old women, who perform the operation of cut­ting the flesh or extracting the worm with a variety of superstitious practices, are accustomed to apply birch-tar to the wound, and then to bind it up. In one case, the worm was extracted by the accidental application of curdled milk or new cheese, and the patient cured in the course of six hours. This remedy was afterwards repeated with success. When the patient dies, the destructive insect, it is said, comes forth of its own accord from the mortified part. But in whatever manner it may come forth, it has always the appearance of a very tender small worm, of the size of a hair, about half an inch in length, of a flesh or whitish yel­low colour, and often black at the extremities. On each side it is armed with a single row of uncommonly tender bristles standing backwards, which enable it to penetrate the flesh better; and in all probability these bristles occasion that acute pain which is felt, and prevent it from being extracted. No rings or indentations can be observed on it; and, except the bristles, it has a great resemblance to the hair-worm. This is the singular animal which Linnaeus has admitted into his system under the very proper name of the Furia infernalis. It is however hardly possible to suppose, with this naturalist, that the above worm falls down from the atmosphere; for it will be difficult to explain by what power it can raise itself into the air. But the wonder will cease if we suppose that this worm may be borne aloft on bits of straw or the leaves of trees, and may then be conveyed by the winds till it at length falls down on the body of some animal. In Pallas's account, the terms 'insect' and 'worm' were used interchangeably, so 'insect' was clearly being employed in a generic, non-entomological sense there. Sitting one day, along with a peasant who had been my guide to a trouting stream, upon a trunk of a tree, in some boggy ground, covered with coarse grass, and here and there a few cranberry bushes, I saw a very small fly of a gray colour, suddenly light upon the back of my companion's hand, and as suddenly fall off. Immediately after he lifted up his hand, complaining of acute pain; and there appeared a small blackish speck where I had seen the insect alight. He immediately said he was bitten by a worm, and made the utmost speed to reach a house where he might have a curd-poultice applied. The hand and arm swelled and were much inflamed, and the man cried out with the excessive pain. The moment I saw the hand, and heard the man complain of acute pain, and say he was stung by a worm, I called to mind the circumstance related of Dr Clarke; and from the subsequent symptoms, application, and cure, I could have little doubt that both were stung by the same creature. I am no naturalist; but I have thought it right to relate a fact that came within my own observation, the value of which I leave to be estimated by others. 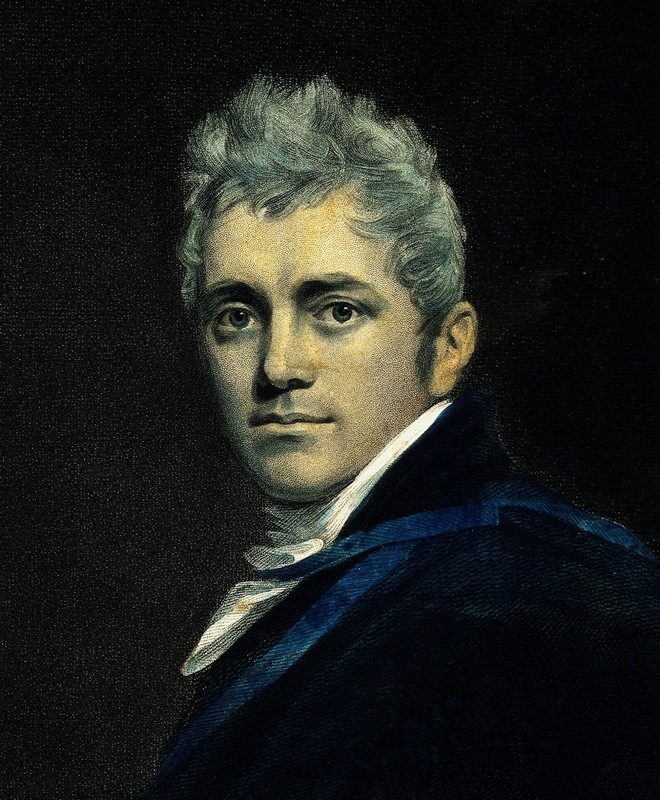 I would only add, that neither Dr Clarke, nor any one who has had a poultice applied for the purpose of extracting the worm, have said that they saw the worm when it was extracted. There can be no doubt here that this classic fury worm scenario was actually elicited not by a worm at all but rather by an insect, seemingly one of the countless tiny blood-sucking ceratopogonids or biting midges belonging to the taxonomic order Diptera (housing the true flies, gnats, and mosquitoes) that infest the marshy lands of northern Scandinavia. Incidentally, one modern-day mention of Furia suggested a horse-fly as a possible identity. 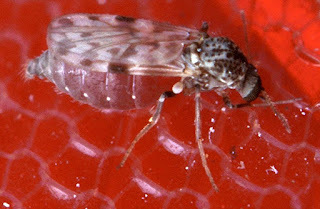 However, these particular insects have already been so familiar in their own right to farmers and other rural workers since the very earliest of times, due to their large, readily-visible, aggressive nature coupled with their adult females' only too well-known biting capability, that this seems exceedingly implausible. Following on from the pronouncements of such notable authorities as German physiologist Prof. Johann F. Blumenbach and eminent Swedish worm specialist Prof. Karl A. Rudolphi (widely credited as being 'the Father of Helminthology'), who had previously – and publicly - professed serious doubt as to its reality, by the end of the 19th Century the fury worm had largely been dismissed by the scientific world as non-existent, as fabulous as the unicorn, cyclops, and minotaur. This was due in no small way to the inescapable fact that despite its notoriety since Linnaeus's near-fatal encounter, not a single example of his much-dreaded vermiform assailant had ever been scientifically examined and verified. (It is nowadays acknowledged that the alleged specimen brought to him by the peasant had most likely been nothing more than an insect larva.) Indeed, even Linnaeus himself had eventually come to doubt that the creature responsible for his injury had been a worm, believing instead that the extreme severity of his affliction had clouded his judgement when attempting to classify the culprit. Moreover, despite generic claims appearing in several Furia documentations from the late 1700s to the mid-1800s concerning how the worm had sometimes been extracted from the flesh of its supposed victims, there never seemed to be any first-hand accounts of the worm itself from witnesses present at such events. Also by the late 1800s, increased medical knowledge had led to widespread recognition that certain people (and individual animals) could exhibit hypersensitive responses or allergic reactions to insect bites and stings, not to mention septic wounds caused by bacteria or viruses, resulting in an array of highly alarming and sometimes life-threatening symptoms corresponding accurately with those described by Linnaeus and other supposed fury worm victims. Furthermore, they can be incited even by insects as tiny and inconspicuous as biting midges of the kind witnessed by Inglis (and which no doubt explained Linnaeus's attack too – midges abound in marshy terrain). In stark contrast, not even the most proficient medical practitioners had any concept of such phenomena back in Linnaeus's time. Consequently, they were much more susceptible to believing in the existence of a deadly worm fervently if falsely deemed real by local peasants steeped in centuries of imaginative, unfounded folklore and groundless superstition. Interestingly, some authorities during the 20th Century suggested that certain victims with symptoms originally claimed to have been the work of the fury worm may actually have been suffering from a version of anthrax, a deadly disease caused by the bacterium Bacillus anthracis – as famously discovered by pioneering German microbiologist Dr Robert Koch in 1875. Anthrax occurs in four versions – inhalation, injection, intestinal, and cutaneous (skin), with the last-mentioned one being the version proposed by supporters of an anthrax explanation for fury worm symptoms. It occurs when endospores produced by the bacterium enter a victim's skin via skin abrasions. In reality, however, this identity fails to provide a satisfactory solution to the fury worm riddle. 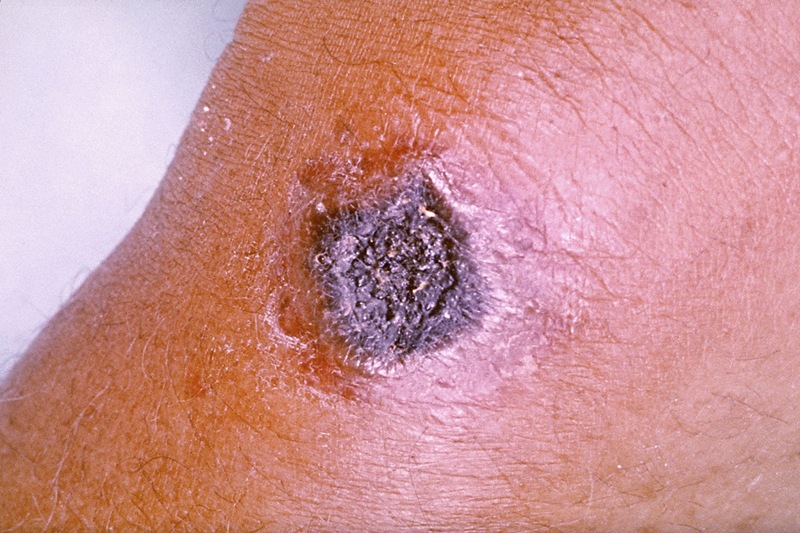 For whereas cutaneous anthrax does indeed produce an ulcer with a black central dot recalling the black spot or speck that would appear shortly after a supposed sting and penetration by a fury worm, it is usually painless, in stark contrast to the excruciating pain suffered by victims of the alleged worm. In addition, cutaneous anthrax is rarely fatal if treated, because the infection is normally confined to the skin, whereas the effects of a supposed fury worm sting and penetration used to spread swiftly through a victim's body and cause severe, rapid swelling and inflammation – all of which is indicative of a hyper-allergenic reaction to an insect sting or bite. 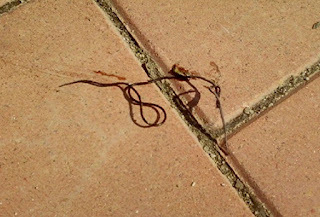 I did consider the possibility that the culprit for the fury worm's nefarious crimes was conceivably a tick or a mite. 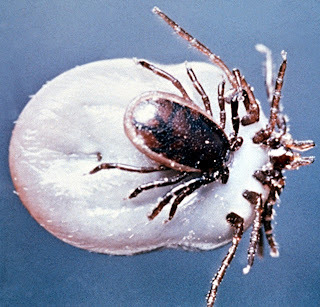 Infected ticks of the genus Ixodes are vectors of Lyme disease (caused by Borrelia bacteria), but its most common initial symptom is a red rash that is neither itchy nor painful (unlike the acute inflammation attributed to Furia), and these small blood-sucking arachnids are ectoparasitic; they do not burrow inside their hosts' flesh like Furia did. 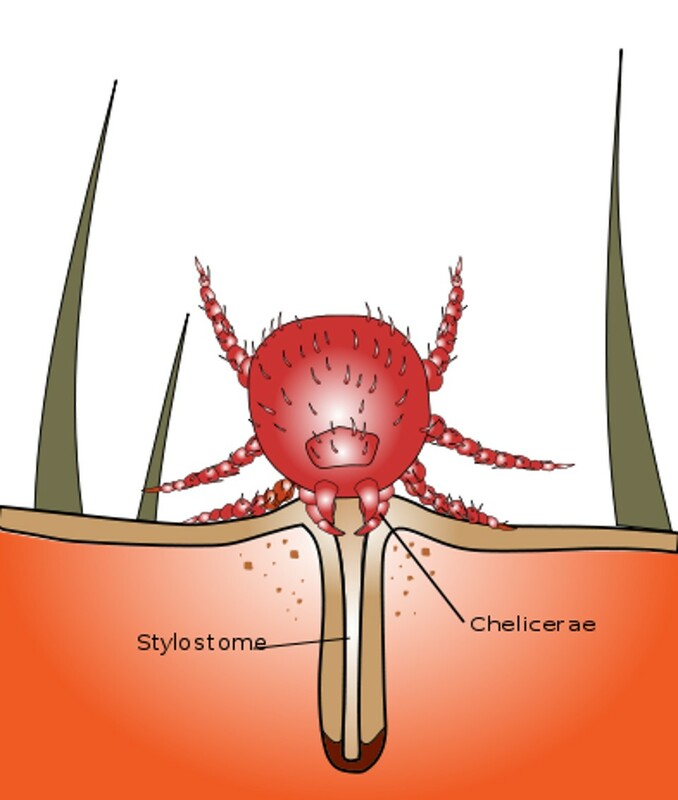 Conversely, many mites are microscopic (explaining why Furia was never seen?) and, again like Furia, some certainly do burrow into the skin of their much larger hosts. The familiar skin ailments scabies and mange are caused by such creatures. In addition, dust mites can induce allergic diseases that include eczema, which can be quite severe in hypersensitive victims. Chiggers are commonly found on the tip of blades of grasses to catch a host, so keeping grass short, and removing brush and wood debris where potential mite hosts may live, can limit their impact on an area. Sunlight that penetrates the grass will make the lawn drier and make it less favorable for chigger survival. 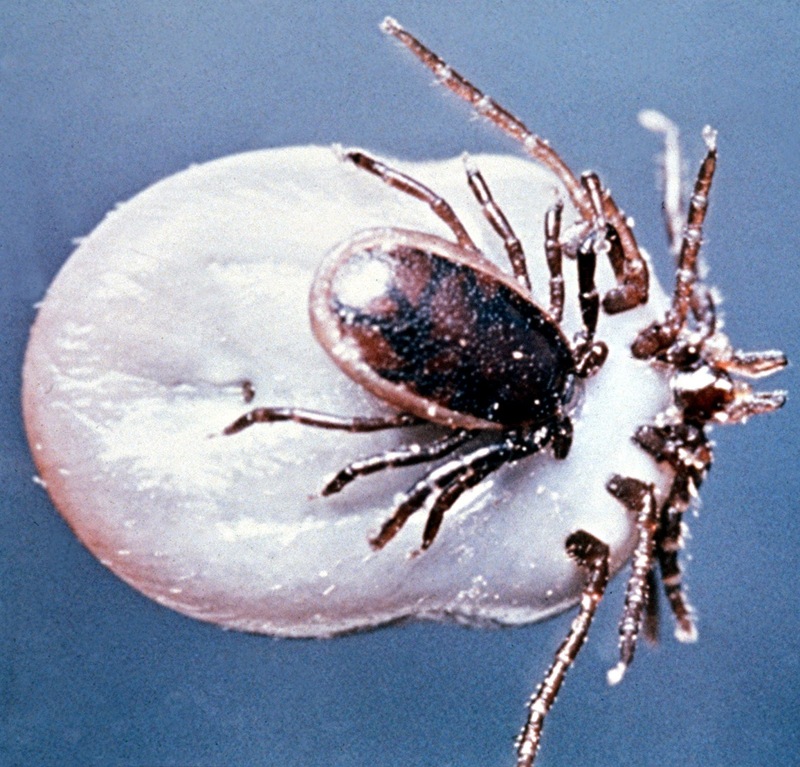 Chiggers seem to affect warm covered areas of the body more than drier areas. Thus, the bites are often clustered behind the knees, or beneath tight undergarments such as socks, underwear, or brassieres. 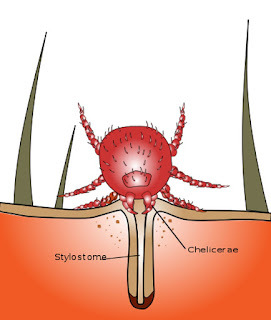 Areas higher in the body (chest, back, waist-band, and under-arms) are affected more easily in small children than in adults, since children are shorter and are more likely than adults to come in contact with low-lying vegetation and dry grass where chiggers thrive. Ordinarily, therefore, I would suggest that perhaps a form of parasitic mite may have been responsible for at least some cases attributed to the fury worm. 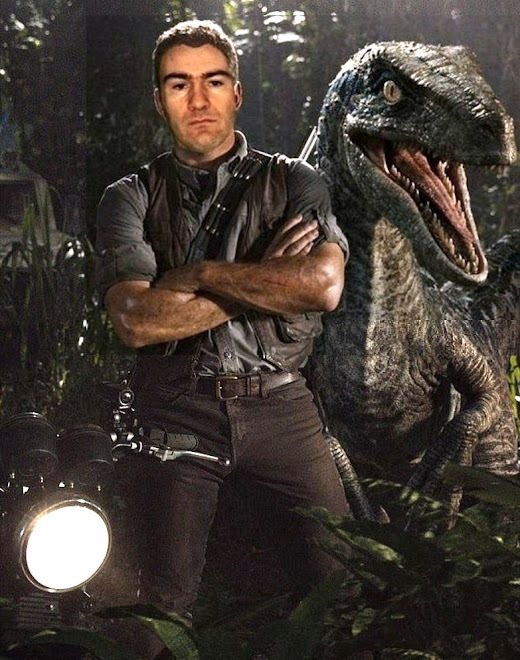 However, I am not aware of any that engender such uniquely devastating effects upon their hosts as those induced by Furia, especially as the latter reputedly achieved them via the action of just a single specimen, not even by several simultaneously. So unless Furia was a species of inordinately hostile parasitic mite that died out before its correct taxonomic identity could be scientifically revealed, which seems highly unlikely, a mite is surely a very remote explanation for it. 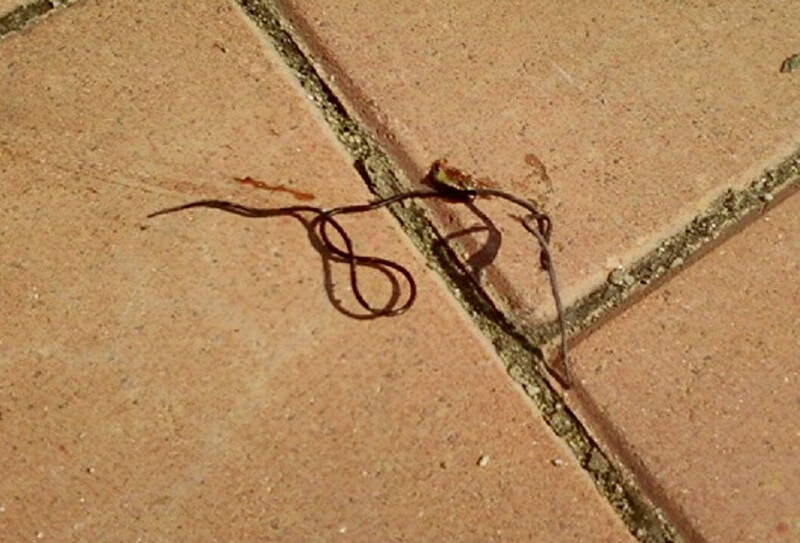 Equally, a single tiny worm blown by a wind current onto the skin of its human victim, then stinging and instantly burrowing deep within the victim's skin where it rapidly induces agonising pain and quite often death does not recall the lifestyle and modus operandi of any of the many different taxa of parasitic worm (which include tapeworms, thorny-headed worms, various flukes and nematodes, larval horsehair worms, tongue worms), despite their considerable variety of form and activity. In any case, the extreme rapidity of the virulent and sometimes fatal activity claimed for Furia (Linnaeus himself alleged that it could kill a human in as little as 15 minutes) clashes with a fundamental tenet of parasite evolution and success, which is to keep its host alive and healthy for as long as possible while the parasite is benefiting from their association. After all, if the host dies prematurely, the parasite loses its nutrient supply, its home, and also in multi-host species the opportunity for the next stage in its life cycle to transfer to its next host. So how could Furia possibly benefit by killing its host so quickly – and indeed, what benefit did it gain by burrowing beneath its victim's flesh anyway? Remarkably, however, this basic question seems never even to have been posed in any of the many Furia documentations that I have read, let alone answered. To my mind, therefore, the fury worm as a parasite of any kind (let alone an actual worm) exhibiting the extreme behaviour ascribed to it makes no zoological sense at all. 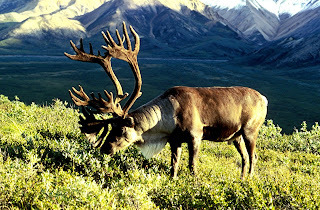 As for the herds of reindeer supposedly killed in Lapland by Furia, conversely, modern science has revealed that a worm was indeed responsible for their deaths (such fatalities still occur today), but it wasn't the fury worm. 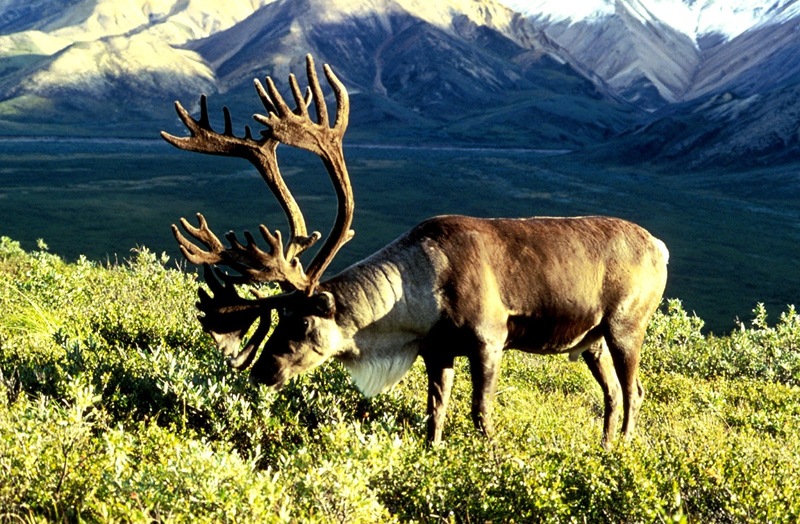 Instead, these deer were and still are afflicted by neurocysticercosis – an infectious disease caused by the presence in their brains of larvae from the pork tapeworm Taenia solium, which can also affect humans. Here, the parasite does indeed kill its host, but not before the parasite's larvae have had time to mature, so that they are ready to enter their new host when it eats the meat of their present one. Quite frankly, the most reasonable, sensible explanation for the fury worm is that it was never anything more than simply a convenient composite scapegoat, a non-existent 'bogeyman worm' of strictly folkloric origin that rural Scandinavians would habitually blame for any unexpected bite, sting, abscess, or other skin-sited ailment whose origin they could not readily determine, whether that be a particular type of insect, or arachnid, or tapeworm, or bacterium, etc. This would explain the marked inconsistency of claims regarding the fury worm's supposed morphology, its sting's symptoms, and the speed of their lethality, because in reality they had not originated from a single inimical species at all, but instead from a whole range of them, yet wrongly combined with each other in rural tradition and superstition to yield an entirely fictitious composite, the fury worm. In Pallas's lengthy account of the fury worm presented earlier here, he stated that it compared closely with a hair worm. Also known as horsehair worms or nematomorphs and of worldwide distribution, these come in many different species, and sizes - ranging from around 20 in to as lengthy as 6 ft, but no more than 0.12 in across (and sometimes as little as 0.04 in). Inhabiting ponds, streams, puddles, and even horse troughs (there are also some marine species, as well as some semi-terrestrial ones), the adults are free-living, whereas the larvae parasitise small arthropods. 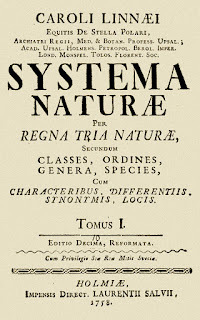 The most familiar horsehair worms belong to the genus Gordius, and in the Vermes section of his Systema Naturae (10th edition), Linnaeus placed Furia directly below his naming and description of Gordius, thus emphasising their supposed similarity as claimed by local testimony. Providing a very relevant precedent and caveat here, however, is that these same rural Scandinavian peasants who believed in the fury worm and its dread stinging/flesh-burrowing activity also seriously believed that Gordius was venomous too, yet in reality it is entirely harmless. Equally, just as they were convinced that Furia dropped down upon its victims directly from the sky or was carried to them on the wind, they asserted that Gordius worms were actually hairs that had originally been shed from the manes of horses but which then had spontaneously come alive. In other words, there are good reasons indeed to treat their beliefs and claims regarding Furia with grave suspicion. …the Acade­my of Sciences at Stockholm, with an anxious desire to discover the truth, has promised, on several occasions, a considerable re­ward to whoever should lay before it a specimen of the animal in question [Furia infernalis]; none, however, have been presented to their notice, but what, upon examination, have been proved to be fictitious. With this information I have been favoured by Mr Retzius of Stockholm, son of the late distinguished naturalist [Prof. Anders Jahan Retzius]. 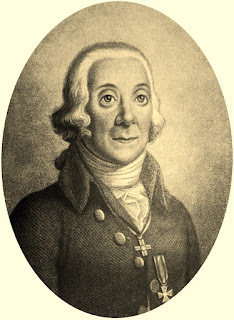 This gentleman has informed me, that he has himself made frequent searches to no purpose on the borders of the Mäler, and other Swedish lakes, in the hopes of discovering this formidable being; and he adds, that, with regard to the Gordius aquaticus, or hair-worm, the bite of which has been supposed to be danger­ous, his own personal experience has convinced him, that it is perfectly harmless; for, during the space of ten years, when he resided at Carlberg, as physician of the military academy, he was daily accustomed to see the young cadets of the establish­ment bathing in places where these animals were to be seen in thousands, and yet no accident was ever the result. Who knows, perhaps the Scandinavian peasants' mistaken yet longstanding supposition that horsehair worms were venomous may also have played an active role in their nurturing an even more imaginative belief, in an even more deadly but this time entirely fictitious version – which an erroneously-afflicted Linnaeus duly dubbed the fury worm. And thus was a fable made fact, until medical science finally swept it into the dustbin of discredited disease-mongers, alongside the tooth worm, the sweat louse, and other comparably noxious yet equally non-existent pathological ne'er-do-wells.